Yesterday we visited the first Equator Coffee sponsored school high in the mountains in San Antonio in Northern Nicaragua. It’s a small one room school without electricity in the coffee growing area. Most of the families work in the coffee industry. We also visited small family run coffee washing stations and had coffee high in the mountains of Nicaragua. We visited a small family plantation and picked about 1/2 a bucket of coffee beans amongst 7 people in about 10 minutes. A full bucket would be 40 Cordoba or about $1.60 Canadian. The workers picking the coffee usually pick about 7 buckets in about a 6 hour working period. They then fill up a big bag and carry it to the wash station. This goes on daily during the harvest season. We also visited an organic experimental farm where they experimenting how to grow crops organically. 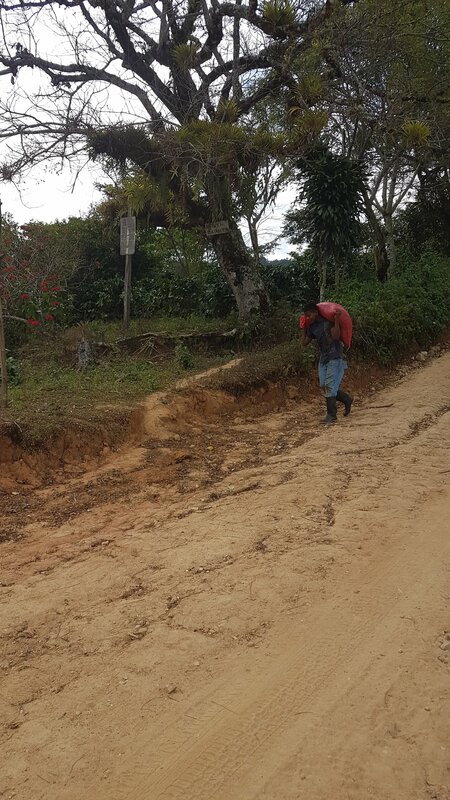 Coffee tress were growing amongst banana trees and cocca plants, pineapples with the idea of the crops being harvested at different times in the year to allow for consistent income. Coffee, coffee, coffee, coffee! You are not going to be able to sleep for a week when you get back home! Enjoy while you can! True, but what we’ve found is that most of the good coffee is exported to the world market because it brings in more money.